The amendment resulted in a dramatic increase in, approximately doubling, the number of eligible voters and that such a dramatic change in the electorate was not in the purview of the federal government but that suffrage should be decided individually by each of the states. 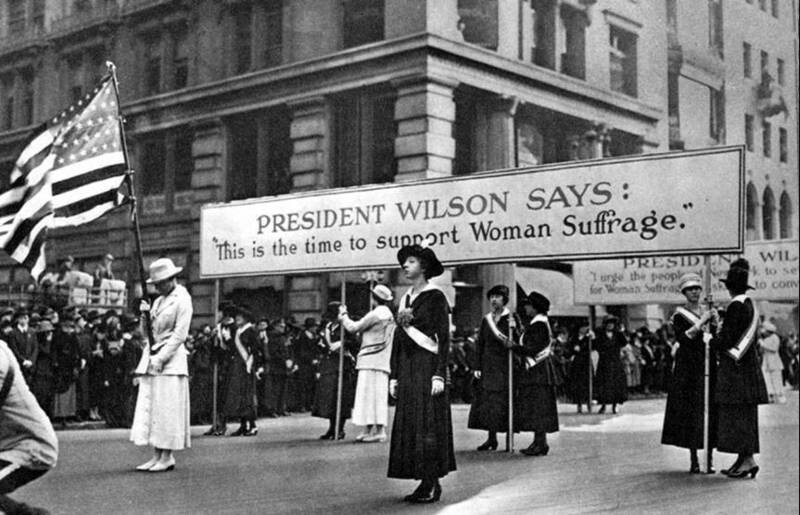 Several states, including Maryland, had state constitutions that limited suffrage to adult males. The ratifying resolutions of Tennessee and of West Virginia were invalid, because they had been adopted in violation of the rules of legislative procedure prevailing in the respective states. The point concerning Tennessee and West Virginia is of no consequence, since by March 29, 1920, all forty-eight states had ratified the amendment. Even if Tennessee and West Virginia’s ratifications were declared invalid, the required three-quarters of state legislatures had ratified the amendment. In fact, however, the states of Tennessee and West Virginia had the power to consider ratifying the amendment and had done so, and the ratifications had been certified and were therefor binding. According to the Supreme Court decision of February 27, 1922, not only were the registrations of the two women in Maryland allowed to stand, but no state can pass laws abridging the right of an adult citizen to vote on account of gender. Oscar Leser, incidentally, was eventually appointed Justice of the Supreme Bench of Baltimore City and unsuccessfully ran two years later as Republican candidate for the United States Senate. I have not been able to find information on what percentage of the votes cast by women he received. Although the right of women to vote is no longer contested, the issue of voter eligibility in general continues to be hotly debated and divisive. Some politicians are concerned that there is widespread voter fraud that can be prevented only by having stricter laws requiring people to provide proof of their identity. As of February 27, 2017 there are seven states that require a voter to show a photo ID in order to register and in order to vote: Georgia, Indiana, Kansas, Mississippi, Tennessee, Virginia, and Wisconsin. The states of California, Illinois, Iowa, Maine, Maryland, Massachusetts, Minnesota, Nebraska, Nevada, New Jersey, New Mexico, New York, North Carolina, Oregon, Pennsylvania, Vermont, West Virginia, and Wyoming, and Washington, D.C. do not require any identification at the ballot box. Laws vary in other states. Opponents to strict photo ID laws argue that such laws suppress the vote and are especially onerous for lower-income people or working people who have limited access during normal working hours to offices where such photo identification documents are obtained. Most of the states requiring photo or non-photo ID documents have state legislatures controlled by Republicans, and much of the legislation closely follows language drafted by The American Legislative Exchange Council (ALEC), a non-profit conservative organization that proposes to states that they adopt legislation in many areas; their proposed legislation concerning voter identification, whatever its intended consequences might be, would almost surely have the consequence of making voting more difficult for students, the elderly, and the poor. While there is a general cry among conservatives to honor the Constitution, it appears that the parts of the Constitution guaranteeing that all adult citizens have a a reasonable access to voting have less than enthusiastic implementation in some states that have elected conservative Republican legislatures.